Hong Kong is considered as one of the world’s most open economies, which makes it the ideal location for foreign businesses to enter. This is also one of the main reasons why there have been many large and small businesses looking for a Hong Kong company registration. If you have a business and want to expand it to Hong Kong then you will be pleased to know that Hong Kong is specifically geared to enable free enterprise so that they are able to flourish with minimum restrictions. While Hong Kong may be a highly developed international metropolis and highly desirable by many international companies looking to start their business in Hong Kong, the truth is, foreign businesses have to go through lots of red tape to get a Hong Kong company registration. Thankfully, this is where Business China comes in. We have years of experience in delivering bespoke and cost-effective registration services to businesses of all sizes in Hong Kong and China. Business China. We are in the perfect position to offer our clients the very best in Hong Kong company registration service to ensure that they get their company registered in Hong Kong hassle free and within the least amount of time. The best part about using the expertise of Business China, when it comes to a Hong Kong company registration service is that the process is quick and affordable. We will put all of your documents in order and provide you with all the information you need to make the Hong Kong company registration process as painless as possible. Business China never hesitates to go the extra mile in delivering incredible service quality and also delivers additional services such as, our one-year business address service and one-year secretary service to help new businesses as they set up shop in Hong Kong. We can do this with only your bank account information. Meaning you do not need to make the trip to Hong Kong during the process. For those of you who do not know, the corporate tax rate in Hong Kong is zero percent for all transactions that are completed outside of Hong Kong. This means as long asthe parties involved in the business transaction are not Hong Kong entities, the corporate tax rate will continue to be zero. Significant expenses such as, house rent, utility bills, water bills and transportation costs, are considered as personal expenses. This means, you should keep the receipts safely with you and provide it when needed by Business China during the audition process of your Hong Kong company. This along can help you save up to thousands in expenses on an annual basis. The annual cost of establishing (including verification and renewal) a Hong Kong company is also lowered. It’s a fact that there are many advantages of doing business in Hong Kong. From its amazing infrastructure, to its circulating fund, peaceful environment, and rule of law, and its low tax rate. Doing business in a place like Hong Kong is a businessperson’s dream, which is why we make it easier for both large and small businesses to get registered in Hong Kong with our Hong Kong company registration service. Hong Kong has the highest concentration of international banking institutions in the world. It is also considered to be the international financial center with its renowned banking services and high level or privacy. As long as you have got access to a computer and WIFI, it is easy to transfer your finances with the tap of a button on the banking services of DBS, Hang Seng and HSBC. Since Hong Kong has strict ant-money laundering rules and regulations, business owners are not able to open a business bank account online, especially if it is their first business in Hong Kong. Up till now, local and international banks that are operating in Hong Kong require the individual to show up personally to meet with the bank officer before opening any corporate bank account in Hong Kong. That being said, once you have your internet banking up and running, you can easily being to operate as many accounts as you can through their online system. 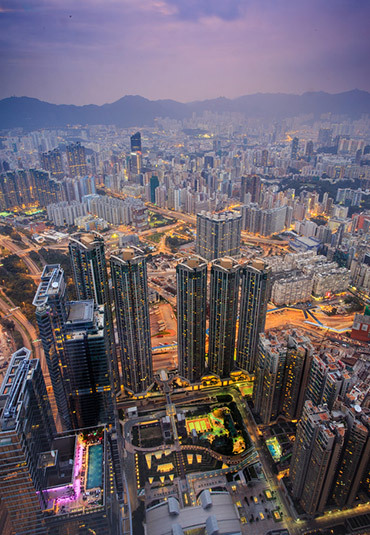 Hong Kong is a financial center that’s continually growing. Apart from being free to receive remittances from all countries, there are over 200 different types of financial services that are available to business owners in Hong Kong who have got a Hong Kong company registration. It’s incredibly easy carrying out online transactions via the internet and online banking, which makes online trade even more convenient. Hong Kong is also an international city and has great relationships with its neighbors as well as other large cities around the world. Hong Kong Limited can make a positive first impression to your business partner or any other cooperator who is involved with your business. Hong Kong also has an excellent financial center and an excellent law system, making it very helpful for you to grow your business and watch it expand to other parts of the country. If you are looking forward for your products or your company to set up in Hong Kong, then you are going to need the expertise of Business China to get you through the process of Hong Kong company registration first. Hong Kong is by far, the best place for business owners to set up their brands and watch them expand to new heights. Hong Kong Limited with ease. A Hong Kong Limited can also apply for any bank facilities, such as, bank credit, or credit cards, LC services, and even issuing stocks and bonds from the company’s financial position, referring to the Hong Kong government for any trust fund to assist their company in its development. This is just one of the many benefits of having a Hong Kong company registration. therefore, you do not need to take any responsibilities for it. This is, by far, one of the best features of Hong Kong limited company. A Hong Kong Limited business can operate any business, and the limitation on the business scope is minimal, apart from illegal activity. The range of business is unlimited, meaning it can be an any industry; financial, medical, shipping transportation, import and export trade, real estate, construction, decoration, information network, tourism, academy, culture, publishing, associations, research institutes and other high-tech industries. With limited restrictions, the possibilities are endless. Hong Kong tax rate is incredibly low. If you do not operate a local business, you can be free of any tax; you can also arrange charges accordingly after a Hong Kong company registration and enjoy reasonable and legal tax mitigation. The scope of Hong Kong tax is minimal, mainly because Hong Kong is one of the lowest tax rate places in the world. Low tax rates and fewer taxesare the reason why many international organizations enjoy reasonable tax mitigation under its tax benefits. If you set up a company in HK, you should only pay profits tax; the tax rate is 16.5%. A Hong Kong company registration is all you need to get into a booming market. Hong Kong is a free and most prosperous commercial port in the world. It boasts of great infrastructure, a consistent flow of skilled manpower, incredible logistics, and money, which can flow freely in and out in Hong Kong after a Hong Kong company registration verification. Besides that, foreign currencies of all countries can be exchanged at any time, and there are no restrictions on the flow of funds, regardless the amount. It is common for businessmen to use the banks of Hong Kong to facilitate the sending and receiving of letters of credit. Any establishment of a registered capital directly affects the decision of the shareholders while establishing a company. Regardless of the amount of the registered capital in Hong Kong after you get a Hong Kong company registration, it is unnecessary to transfer the funds to a bank within Hong Kong. The Hong Kong government requires a minimum registered capital of at least, HK $10,000. This capital amount can be raised according to actual conditions. It is no secret, that Hong Kong is being regarded as a window to international market expansion, and is being used as a springboard for foreign businesses to enter the mainland market because of its geographical location. Thanks to the advantages that Hong Kong provides business owners after they get a Hong Kong company registration, businesses are easily able to enjoy the trust and cooperation of foreign companies for the expansion of their own business. On the other hand, foreign investors prefer to establish regional headquarters in HK as their springboard of investment in China. Regardless of the registration capital size, the government of Hong Kong allows a company’s name to be both regional and industrial, such as, international, group, holding, investment, industry, enterprise, association, chamber of commerce, federation, foundation, promotion, center, company, university, college and institute, press, travel agency, board size and so on. I. Provide guidance and a comprehensive evaluation based on each customer’s situation during the Hong Kong company registration process. II. Assist clients to review and prepare the file to meet the requirement of bank. III. Once data is confirmed, make an appointment with the bank manager. IV. We will follow up all details, while customers only need to receive the text message and bank token from the bank. V. After opening the bank account, we will keep customers informed of bank notices efficiently and provide one-stop post-incorporation services.